Jeddah is an iconic sea-port city in Saudi Arabia, the second largest city after the capital, Riyadh. Most famous for being a gateway to the Holy City of Mecca, Islam’s holiest site, Jeddah welcomes thousands of annual pilgrims who pass through to reach Mecca. The city is also known for its creative and innovative open-air art and sculptures. Cheap flights to Jeddah are now available for a limited period of time, so prepare to be mesmerised by this city’s beautiful beaches and architecture! Jeddah is home to King Abdulaziz International Airport (JED), located 45 minutes from the city centre by car. King Abdulaziz International Airport serves a multitude of airlines including Saudi Arabian Airlines, Etihad Airways and Emirates. Non-stop flights to Jeddah depart from Johannesburg via Saudi Arabian Airlines. Flight duration from Johannesburg to Jeddah is approximately seven hours. 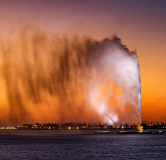 In addition to the historic Gates of Mecca Jeddah is home to King Fahd’s Fountain, the world’s tallest fountain that is visible from all parts of the city. 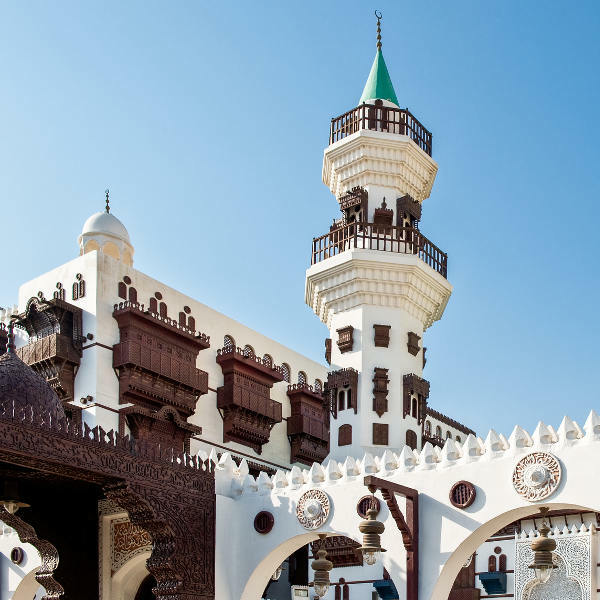 With an impressive array of museums and art galleries, including an open-air art museum boasting sky-high art sculptures, Jeddah is without a doubt the art capital of Saudi Arabia. Water sports, like scuba and deep-sea diving, are extremely popular. 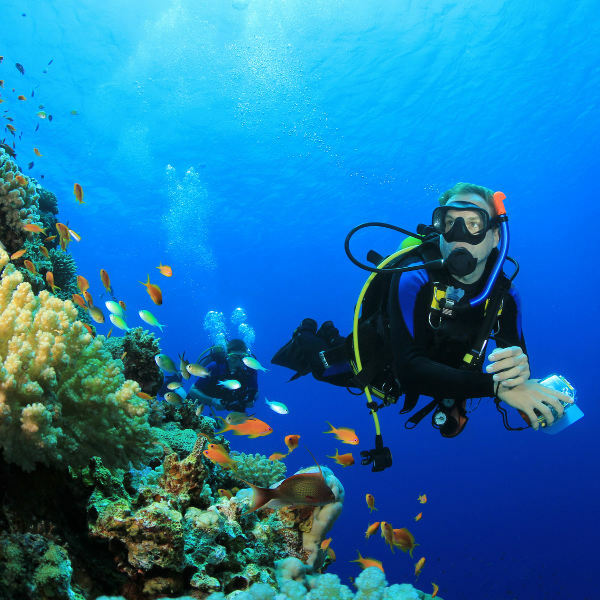 Explore the incredible underwater coral reefs of the Red Sea. Land activities, like desert safaris and camel-riding, are also offered. The best times to visit Jeddah are the periods between January and April, or November and December. During this time, average temperatures are on the cooler side for the city, ranging between 20 and 30 degrees Celsius. Outdoor activities are best enjoyed in milder temperatures. From May to October temperatures can soar up to 40 degrees and over. Most buildings in Jeddah have indoor air-conditioning, so the hotter months are the ideal time to go if you are looking to avoid the tourists and take advantage of the fabulous shopping opportunities in Jeddah’s high-end malls. Founded in 647 A.D and, with a rich history spanning over a thousand years, Jeddah is nothing less than a historical and cultural treasure of Saudi Arabia. Its location on the edge of the Red Sea has had a unique seafood influence on its local cuisine, which differs from the rest of the desertous region. Jeddah’s architecture is a vibrant mix of traditional Islamic and modern industrial, which will delight visitors looking to get the best of both worlds. A premier holiday and shopping destination in the Middle East, Jeddah entertains visitors from neighbouring countries and the rest of the world. Boasting some of the world’s best malls offering local and international designer labels, shoppers will be left enthralled by all their retail options. Jeddah also offers popular outdoor activities for active and energetic holiday-makers - choose from activities like sailing, deep-sea diving, scuba diving and snorkelling along the Red Sea coast. Compare several airlines, and book your cheap flights to Jeddah online with Travelstart! South Africans do require a visa to enter Saudi Arabia. In order to qualify for a visa, South Africans are required to possess a valid passport with at least six months’ validity after intended duration of stay, and a blank page for an official visa stamp. For more information on South African visa requirements for Saudi Arabia, please contact the Saudi Arabian Embassy in South Africa (Telephone: +27 12 362 4230). As part of the United Kingdom of Saudi Arabia, the city of Jeddah is governed under Islamic Law. As such, crime is a rare occurrence and the crime rate in Jeddah is extremely low, making the city one of the safest in the world. The large influx of visitors can, however, bring petty crime into the city. Visitors should practise vigilance when carrying expensive items, such as cameras, cellphones and watches. Visitors should be mindful of the local Islamic customs as a sign of respect. Men and women are required to dress modestly and avoid shorts, skirts and other revealing clothing. Couples (married or unmarried) should refrain from public displays of physical affection and alcohol is forbidden, except for in designated drinking areas. 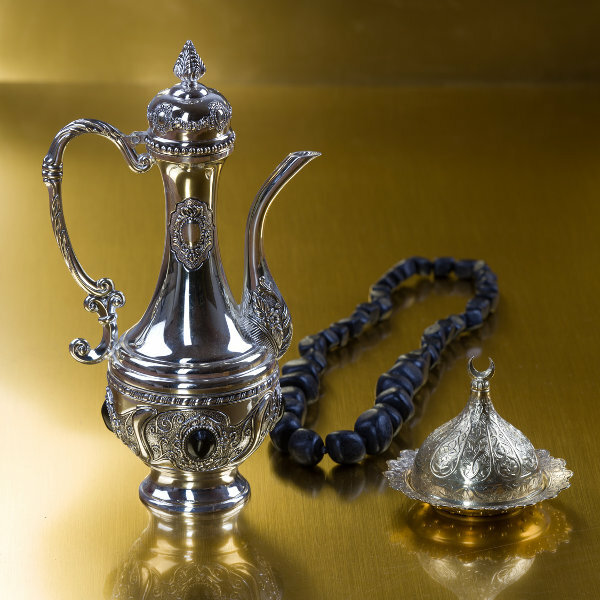 Jeddah offers a multitude of different types of accommodation to suit every traveller’s taste and budget. With accommodation ranging from five-star hotels to bed and breakfast houses, visitors are not short on choice for where they would like to stay. Visitors looking to be near landmarks and the beach should look no further than Corniche, Jeddah’s premier resort area. Those looking to be nearer to malls and shopping areas should consider Al Hamra, located a stone’s throw away from the best malls, restaurants and cafés. Public transport is not extensive in Jeddah and most visitors hire rental cars during their stay. Meter and fixed-rate taxis are also a popular choice for getting around. Visitors are encouraged to negotiate a fixed rate with a taxi rather than using a meter, as the price is usually far cheaper. Many hotels utilise water taxis which transport locals and tourists around to nearby malls and restaurants.